Style N Season: My New Obsession: Instagram N Creating Your Own Comic! My New Obsession: Instagram N Creating Your Own Comic! For the past several weeks I've been obsessing with Instagram. I knoooooow.... So late, rite! I created an Instagram account @stylenseason a long time ago, but I didn't literally upload anything until lately. Creating my own version of baby comic of Baby Michael! 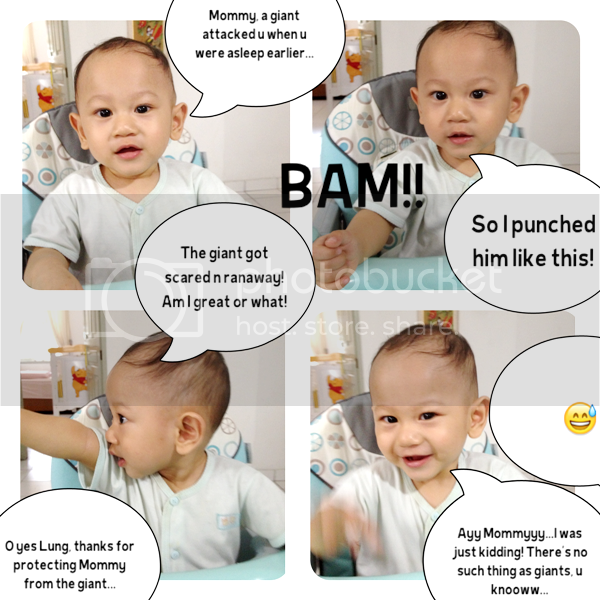 I love posting these comics on my personal social media like Path and Facebook and tag my husband, my parents and my brothers, so they will know Baby Michael's latest development. My parents live in another city, while my second brother lives in the US, so I'm very thankful for this kind of technology that enables us to be a little bit closer and the fact that we can easily get updates on each other's lives and connect with each other. Hubby, of course, see Baby Michael everyday, but he loves to read Baby Michael's comic when he's at work to brighten up his day. And I love creating them! Some might say it's too narcissistic and self-centered. However, I think keeping a journal and documenting our lives in creative ways have values in itself. Some families have family blog. Some other create their own family newspaper. Some mothers record their family activities in beautiful scrapbooks and photo albums. Don't you think what they do is a lovely idea? At this point, my love to write and the available technology (read: smartphone apps) make it possible to create this kind of memories in my own way. And then here we're talking about giants.... Huh? 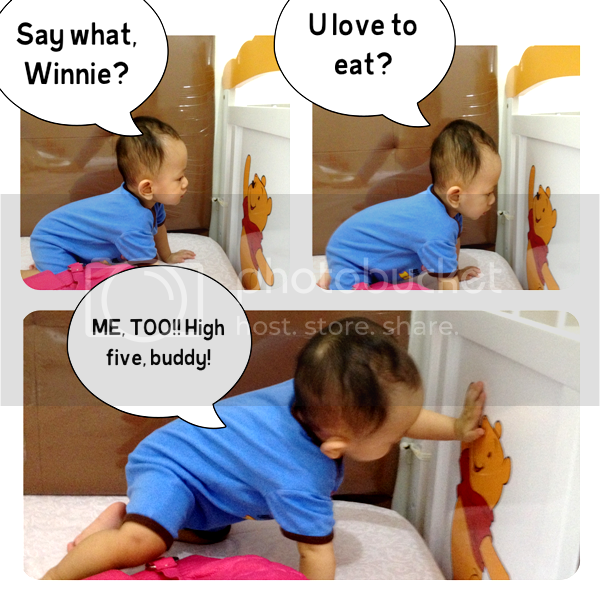 This is my first visit to your blog and I loved the cute photo cartoons of baby Michael. He looks adorable! It will be a great record to look back on as well as a more immediate way of sharing his latest activities with close family and friends.